It’s easy to call a preseason match with regular season priced tickets a “cash grab.” But for so many in attendance at US Bank Stadium, it was so much more than that. For Tottenham Hotspur and AC Milan, it’s becoming more and more important to keep up with the likes of Real Madrid, Manchester City, and Bayern München. Club soccer has become an international business, and the ICC is one way clubs that are starting to get left behind can catch up to the big spenders and big names. 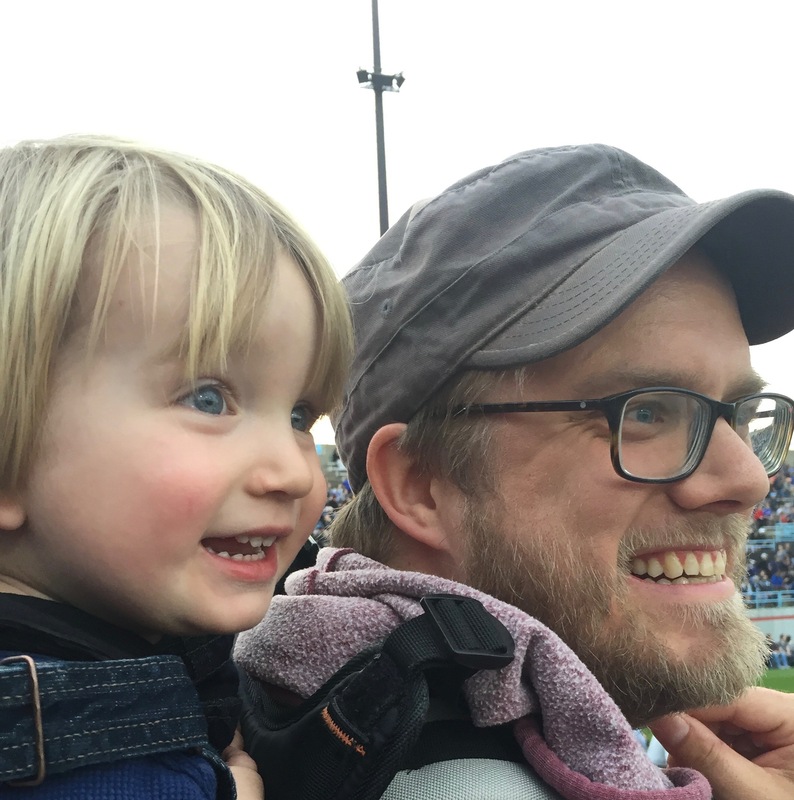 But as you drill down into what makes the beautiful game meaningful, you realize much of soccer is meaningless, except for the meaning we ascribe to it. You read an article like Andy Greder’s in the Pioneer Press and you realize that for some, this match has tremendous meaning. 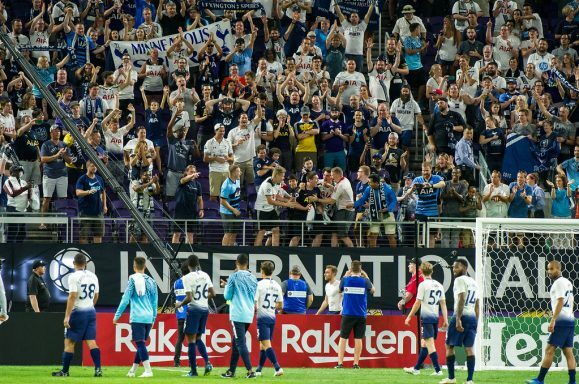 Minneapolis Spurs fans sent a powerpoint to Tottenham executives, trying to help convince them to come to Minneapolis on their summer pre-season tour. Don’t care if it was THFC third string. Don’t care if it was just a friendly. Don’t care if attendance was low. Don’t care that the kid behind me showered me with Sprite. I got to see my team play in person, for the first time, in the city where I live, and it was 100% amazing. It takes tremendous amounts of money and capital to put on a match, particularly one like AC Milan versus Tottenham. The owners, the broadcasters, the sponsorships are what enables the spectacle to go on. Soccer has been creating tournaments and cups since nearly the beginning in an attempt to make more money. Look at England, where Tottenham hails from. The English football league was started to give teams more regular matches, matches at which they could charge admission, because at the beginning the FA Cup was the only competition for clubs. At times in the past teams have played in three additional domestic cup tournaments concurrent to league play in England. Sponsors and owners and leagues can create all the tournaments, leagues, and cups they want. There is only one way that it can truly have any meaning. It’s the players and the fans that make it something special. No amount of hype or advertising can make a match meaningful if the people who are forever linking in this creation of purpose. Of meaning. And this match has it. Watching the fans in attendance cheer for players, whether first teamers like Christian Eriksen and Son Heung-Min or future stars like U-18 international Oliver Skipp, there was meaning in this match. You could hear the Spurs supporters’ chants echo around US Bank Stadium, most of those supporters have likely never been to White Hart Lane, but here they have that chance. These are expats and Americans, millennials and baby boomers who have found meaning in supporting a club across the pond and thousands of miles a way. Good for them. What amazes me is how different the landscape is in Minnesota now compared to even four years ago. There are now so many ways to become invested and draw meaning from the world’s game here in Minnesota. Is it youthful exuberance and love for the game that interests you? Check out the USA Cup in Blaine every summer. Is it a grassroots, supporter owned club? Minneapolis City SC is the team for you. Are you outside of the metro? Med City and Duluth FC are there for fans north and south of the cities. Want quality professional soccer? Now you have Minnesota United FC playing in the top division in the US. And on a Tuesday in July, a bunch of fans could watch a bunch of second teamers in ill fitting jerseys with a sprinkling of stars play out a drab match between two of the historic clubs in European soccer. For some in the crowd, this will be their match of the century. One they will remember for the rest of their lives. Who are we to say that it’s meaningless?